“My wife (Lila) and I loved your set and your mixing and choice of music. Wish we knew about you when we were planning our reception party. But will def keep you in mind if we have something else planned and will def pass on your details to clients who are looking for DJ’s. Raj AM – Visions Video. AK Musik has the best all round DJ I have heard for a very long time and when it comes to Bhangra he is a notch above the rest with outstanding choice of music, lighting and visual displays. These guys really know how to work the crowd; you can guarantee they will get the crowd moving no matter what the event. 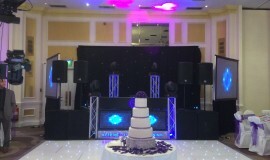 “We were recommended to use AK Musik by our friends who had used them for their wedding. From the initial contact, we received a professional and friendly service. We initially booked my mehndi party only but we were so impressed that at the last minute we booked Arun and his team for 2 other events. Arun and the team really know how to get the party started, they have a wide range of music to suit anyone and Arun’s mixing skills are absolutely fantastic.